Well, as of 11:28 p.m. (I'm at the scrapbook store), on Jan. 5, I finished working up the last Brazil pictures. ...Now, I just need to go back through, and try to cut it in half, and then half again. Then I'll create the scrapbook pages. 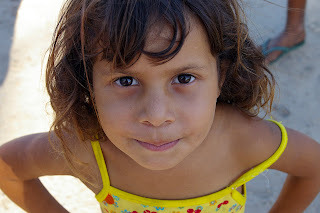 I miss the kids in Brazil. I think I could go back tomorrow. Working on the photos has made me so sad. A Missouri gal who now calls the land of Sooners & Cowboys home, but still has a dash of Dorothy and Razorbacks in her soul. Note, due to the purchase of my own url, older posts may not appear in the search. The current blog design uses papers and elements from the Tweetie kit, created by Michelle Coleman with A Little Dreamer Designs. Fonts used are: Champagne & Limousines & Fontdinerdotcom Sparkly, both can be found at http://www.dafont.com. As always, thanks to Amanda @ www.kevinandamanda.com for having the wonderful tutorials which taught me how to re-design this blog.